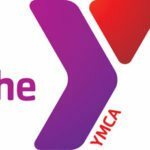 The Cedar Rapids Metropolitan Area YMCA is currently looking for qualified Yoga Instructors for the Mercy Health Plaza location! Yoga Instructors will assist in a variety of areas, including, but not limited to: Teach Yoga classes,educate participants on proper and safe exercise form, enforce YMCA rules; be enthusiastic, and supportive of group participants. Execute risk management plan. Attend continuing education workshops offered by the fitness program. Must be a certified Yoga Instructor with previous teaching experience. Must possess strong organizational, leadership, and communication skills. All fitness program employees are required to be trained in CPR, First Aid, and AED.